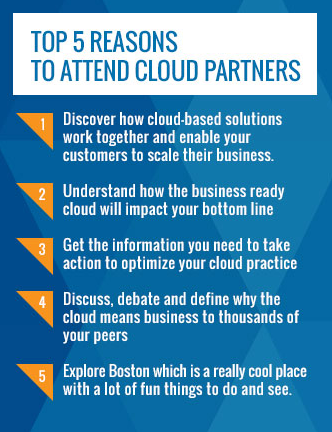 Next week, September 16 – 18, Compunetix enterprise solution managers will be attending the Cloud Partners event in Boston, MA. The Cloud Partners event features the hottest cloud-based services and solutions to help scale practices and businesses, along with helping to show why a strategic approach can meet the customer demand for action around the cloud. Cloud-based solutions can positively impact your bottom line; and unified communications is one of the most popular cloud-based services. Compunetix has the products and offerings to boost your business to the cloud and beyond. Attending the event? Contact us to set up a meeting with one of our knowledgeable solution managers: Shonda Winck swinck@compunetix.com or John Krofcheck jkrofcheck@compunetix.com. Haven’t yet signed up to attend? Learn more about the Cloud Partners event here.